At a recent screening for The Fighter, an Uncharted fan approaches David O. Russell to tell the filmmaker just why actor Nathan Fillion is perfect for the flick. 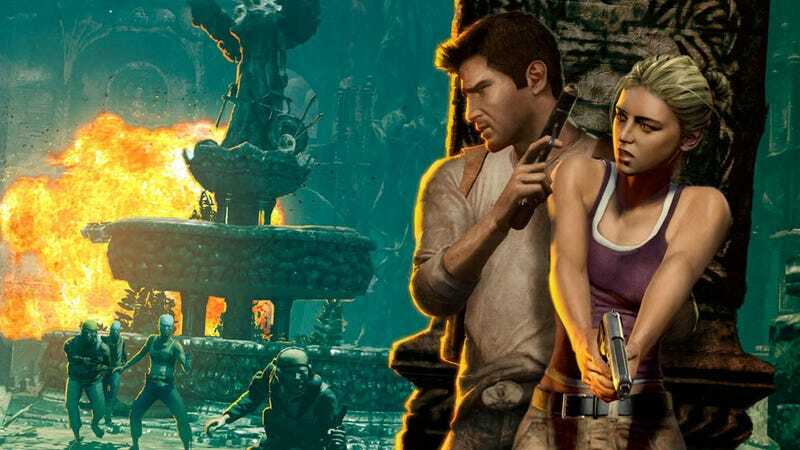 This gamer's played all the Uncharted games — all two of them! Awkwardness ensues. Russell replies, "Alright, alright, alright, alright, okay...", adding "You know, if they want to put somebody in there that's not a big deal." The director then tells the Fillion fan, "Alright, I hear you, you...stood up for your boy." Fillion is the star of ABC series Castle, and expressed interest in the Uncharted film this past fall via Twitter. Could This Actor Be Right For The Uncharted Flick? Too little too late, perhaps. Word is that Mark Wahlberg, star of The Fighter and big deal, is going to play Uncharted hero Nathan Drake and Robert DeNiro might be his father. And something about the Uncharted movie being about a family of treasure hunters? Or something. Earlier this month, Russell told the LA Times, "This idea really turns me on that there's a family that's a force to be reckoned with in the world of international art and antiquities ... [a family] that deals with heads of state and heads of museums and metes out justice." Sounds like Russell hasn't played any of the released Uncharted games — all two of them.